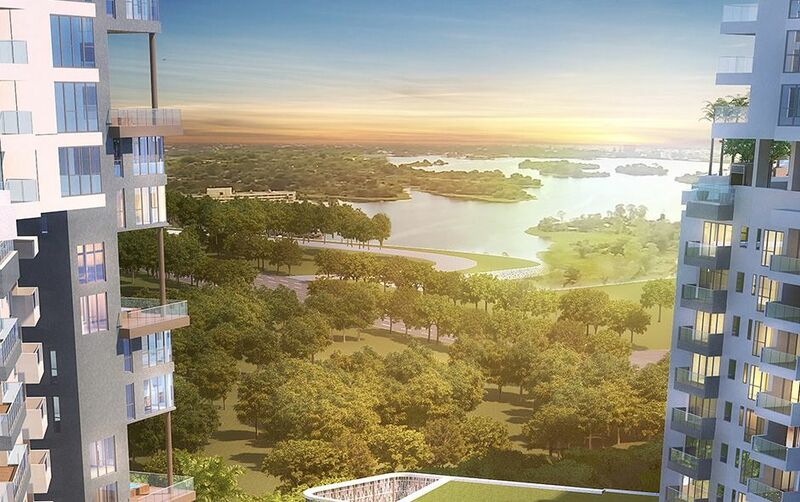 At Embassy Lake Terraces, our designers and engineers have taken particular care in ensuring privacy, total security and a high quality of life. 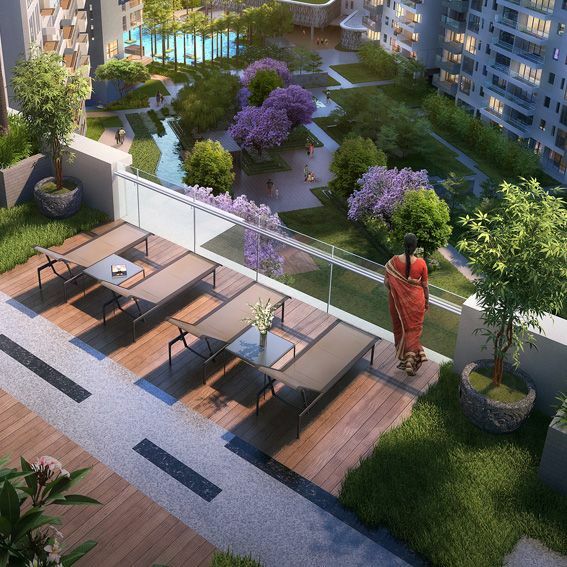 With landscaped terraces, viewing decks and of course, the jogging trail, this ‘aero-promenade’ raises the bar for residential leisure spaces. A well-equipped business centre with meeting rooms, gym and yoga rooms, make this the perfect spot to relax, revive and reconnect. Wall-to-wall glass facades, 3.4m high ceilings and Italian marble in our air-conditioned apartments heighten the sense of luxury, while the engineered wooden flooring gives you the comfort that you are on a firm footing. This is luxury at its finest. The International Standard Clubhouse spread over 50,000 sft. with 32,000 sft. of outdoor amenities offers the ultimate in relaxation. 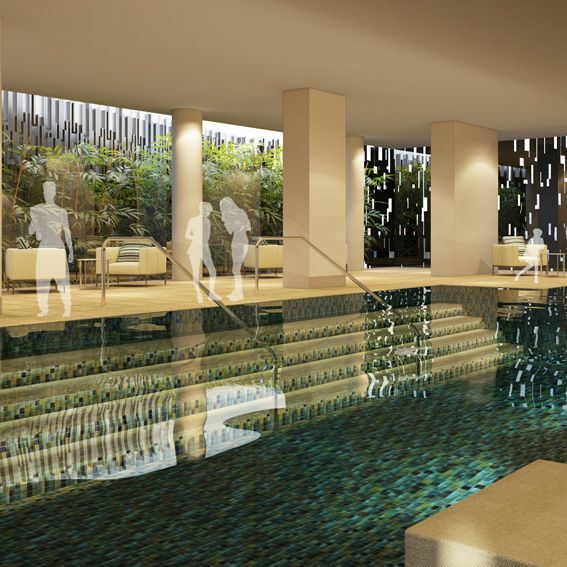 It encompasses a fully-equipped gym, luxury spa, a heated indoor pool and an outdoor pool, to offer choices for our residents. A banquet hall with catering facilities, lets you extend your lifestyle to your private gatherings and celebrations too. A barbeque centre with 5 dining cabanas, tennis courts, basketball court, badminton court, cricket practicing nets, skating rinks, outdoor jacuzzi, putting greens and a paw- park caters to your leisure activities. To take care of your daily needs, there is a convenience store with laundromat services for the residents. To top it all, the stunning, roof-top dining lounge of 10,000 sft. 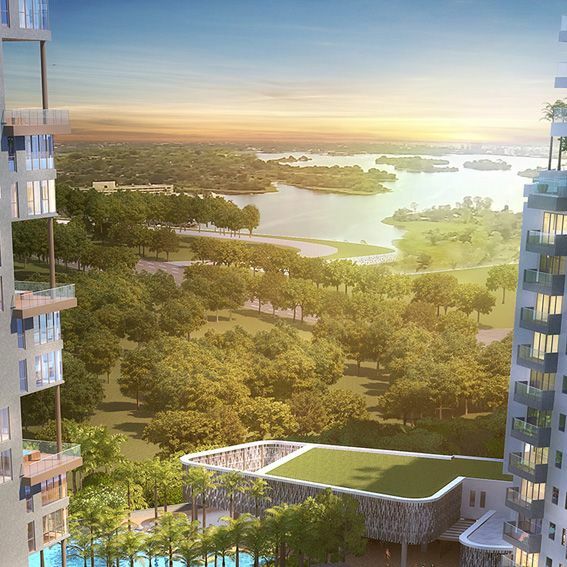 on the 21st floor, makes Embassy Lake Terraces a great place to experience the privileges of higher living. 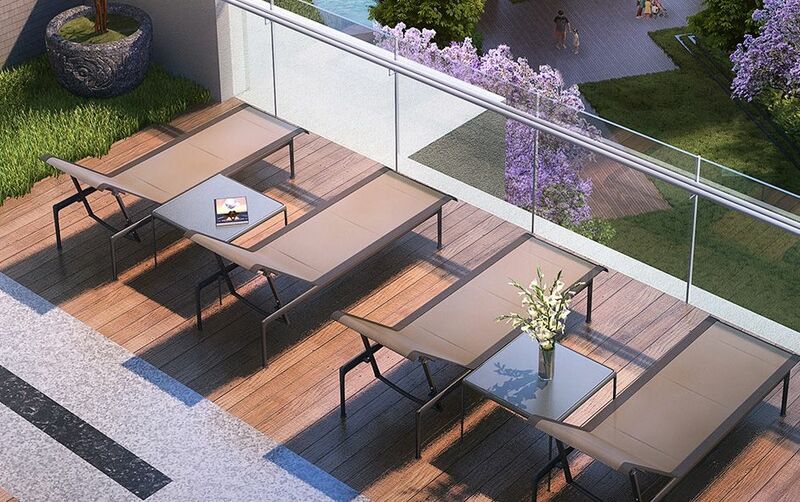 The two-acre Sky Deck on the 11th floor offers state-of-the-art amenities. 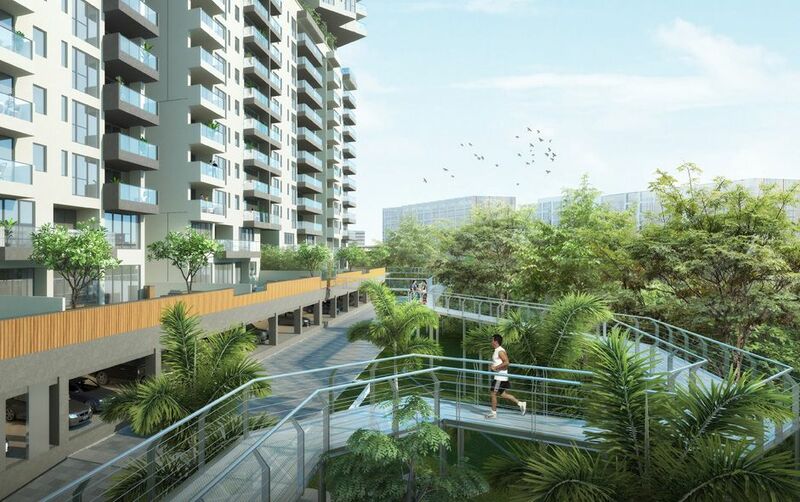 With landscaped terraces, viewing decks and of course, the jogging trail, this ‘aero-promenade’ raises the bar for residential leisure spaces. A well-equipped business centre with meeting rooms, gym, yoga rooms and much more makes this the perfect spot to relax, revive and reconnect. 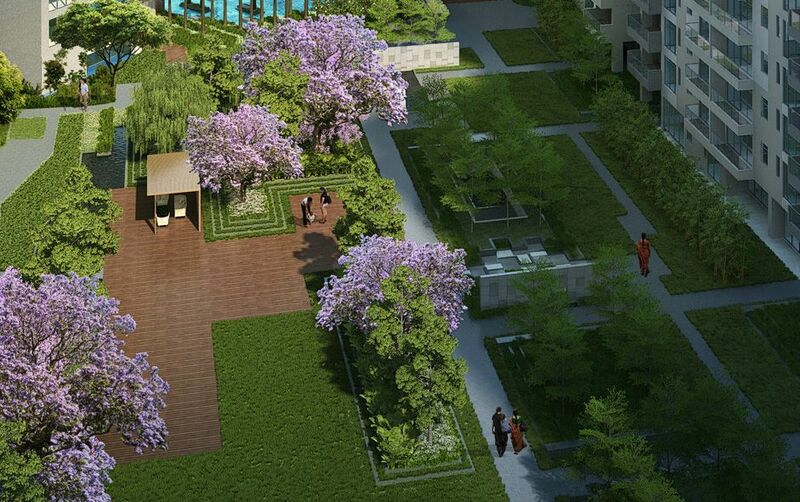 Spread over 6 acres, it's one of the highlights of this green project. 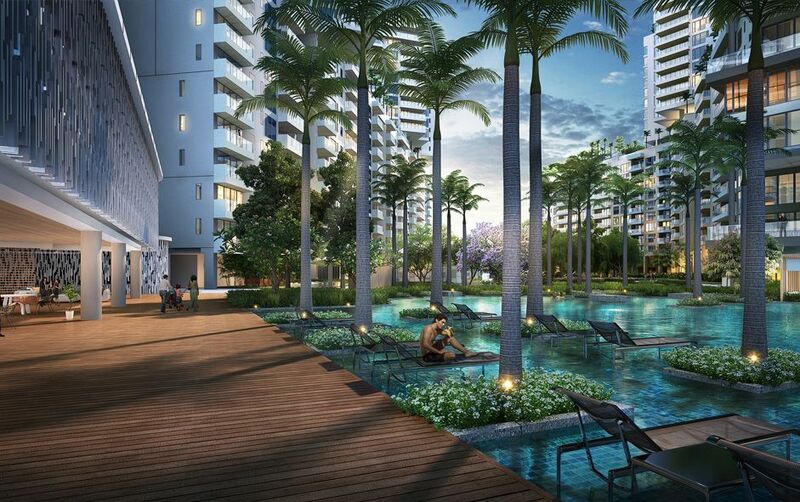 The Garden Blocks surrounded by themed gardens offer views of the central green, while the enchanting water features give residents an atmosphere of cool serenity. 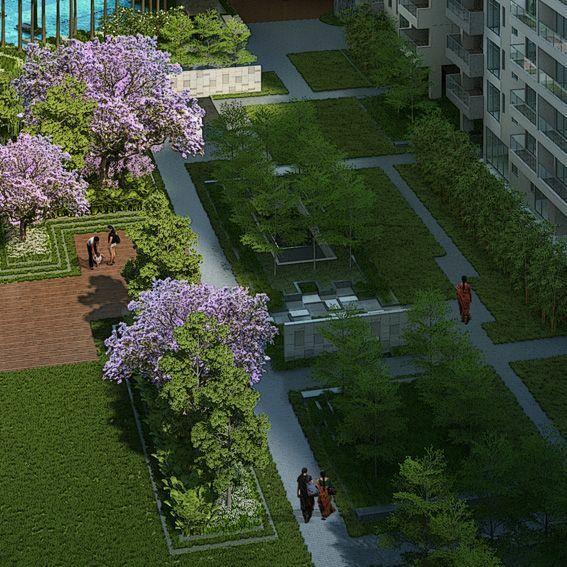 The landscaped terraces on the sky deck add to the spectacular beauty make it as green and pristine as it gets.